British Foreign Secretary says despite UK will continue to support UNHRC despite its criticism of the body. British Foreign Secretary Boris Johnson said on Tuesday that the United States’ decision to withdraw from the United Nations Human Rights Council (UNHRC) was “regrettable”. He added that despite the UK’s own criticism of the Council, it will continue to support it. “The United States’ decision to withdraw from the Human Rights Council is regrettable. 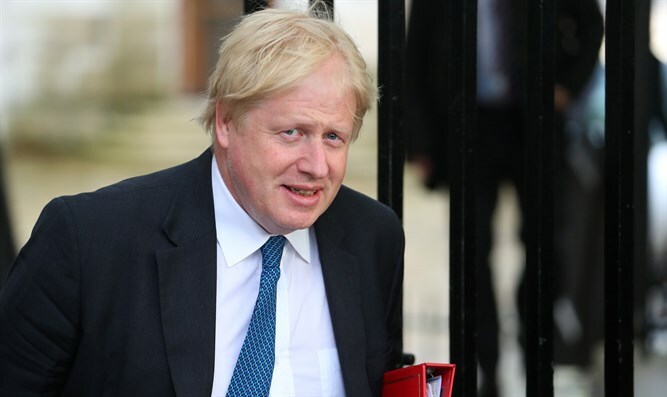 We’ve made no secret of the fact that the UK wants to see reform of the Human Rights Council, but we are committed to working to strengthen the Council from within,” said Johnson in a statement. “Britain’s support for the Human Rights Council remains steadfast. It is the best tool the international community has to address impunity in an imperfect world and to advance many of our international goals,” he continued. “That’s why we will continue to support and champion it,” said Johnson. On Monday, the United Kingdom condemned the UNHRC over the body’s long-standing anti-Israel bias, demanding the council drop Agenda Item 7, an item which has made the Israel-Arab conflict a permanent focus of the council. Speaking at the opening of the UNHRC’s 38th session, Johnson said that the UK viewed Agenda Item 7 as “disproportionate” and “damaging”. Johnson also threatened to vote against all motions brought under Agenda Item 7 in the future.